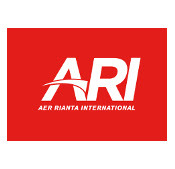 Acknowledged and respected as one of the world’s most experienced travel retail specialists, Aer Rianta International has an extensive portfolio of quality travel retail operations throughout the Middle East. The Company’s presence in the region over the past two decades, gives it an unrivalled understanding of the cultural diversities present.This, when combined with a flexible and enterprising business model, allows us to constantly convert commercial opportunities into profitable business for our many partners throughout the region. With our regional headquarters strategically located in the Kingdom of Bahrain, we offer a comprehensive range of support services to our clients, from management consultancy to the turnkey retail solution for airlines, marine, airport and other land based operators. If you are interested in partnership or would like your operation to benefit from our unrivalled expertise, please contact us at our regional office.